Like a seasonal dish at your favorite restaurant, summer is back and better than ever. With an itinerary of spontaneous beach excursions and warm nights topped off with an icy glass of fruity bliss comes time to usher new life into your summer wardrobe. These pieces are designed to ease your transition into the simmering months ahead, whether it be by deflecting the sun’s intensity or simply making you the star of your own summer runway. Let each statement piece below reflect you—bold, beautiful, and totally ready to rock the summer. Floppy hats are a game-changer during the summer months. They’re wide enough that they virtually block the sun from any angle, while still being effortlessly chic. Bonus: they pair well with just about every outfit—a casual dress, classic overalls, shorts and a tee, a jumper, you name it! A floppy hat adds a dollop of sophistication to the rest of your ensemble. They are like the icing on the cake—a final touch that complements the whole. Don’t forget the element of mystery that accompanies a stylish woman wearing a hat. It’s sort of like The Wizard of Oz’s man behind the curtain, but with more flair. There’s just something about a bright pink lipstick that makes it a perfect accessory for summer. It’s vibrant, bold, and adds a dashing pop of color to any outfit. You can find different hues of pink in a sunset or on a shell that washed up on the beach. That’s all the proof you need to know that it’s a shade for the season! Not to mention, a bright pink is a color that exudes confidence and really packs a punch. Plus, with so many new long-lasting formulas, your lipstick is sure to serve vogue looks long into the warm summer nights. Cotton palazzo pants are a fashion item that could very well borrow from Covergirl’s recently dismissed, yet still iconic, logo. They are easy, breezy, and beautiful indeed! A pair of these can instantly shake-up your wardrobe. They’re light and airy, and allow generous room for you to move in, making them breathable and comfortable as you transition from pool party to waterfront dinner. With a variety of patterns and designs, they can be paired with any number of tops, allowing for a versatile and fun selection to choose from for your summer activities. Shop the 5 summer accessories you will want to wear this year! Ditch the standard over-the-shoulder purse this summer and opt for a mini backpack instead. But before you begin to cringe, let me reassure you that this isn’t your commonplace Jansport pack loaded down with notebooks and school supplies. Save those for the kiddos. You’ve graduated to the era of the mini backpack—a chic, sleek, and lighter alternative to a purse. It’s large enough to hold your essentials (wallet, sunglasses, phone), but lightweight enough to sling onto your back, so you can carry on with your day. The best part? Hands-free shopping! You may or may not remember the original slide sandals from the days of old—Adidas was the proud parent of the Adilette slide, otherwise known as the shower sandal. But the comfort and ease of these shoes have helped them make a powerful statement in the fashion arena. Now, several brands are taking part in the movement, producing slides that aren’t just for the shower. If the original striped design doesn’t quite tickle your fancy, consider a metallic, colored, braided, or bow design! Adorably chic and suitable for activity or leisure, these will be your go-to shoes of the summer. Your summer style will ultimately be what you are most comfortable in, whether you decide to don a floppy hat and slide into a pair of bejeweled sandals, or take command of all these trendy pieces at once. One thing is for sure—this will be the biggest and brightest summer to date! Check, please! Want to know what we think makes a woman beautiful? Give our recent podcast episode a listen: What Makes a Woman Beautiful (Might Surprise You) – 043. 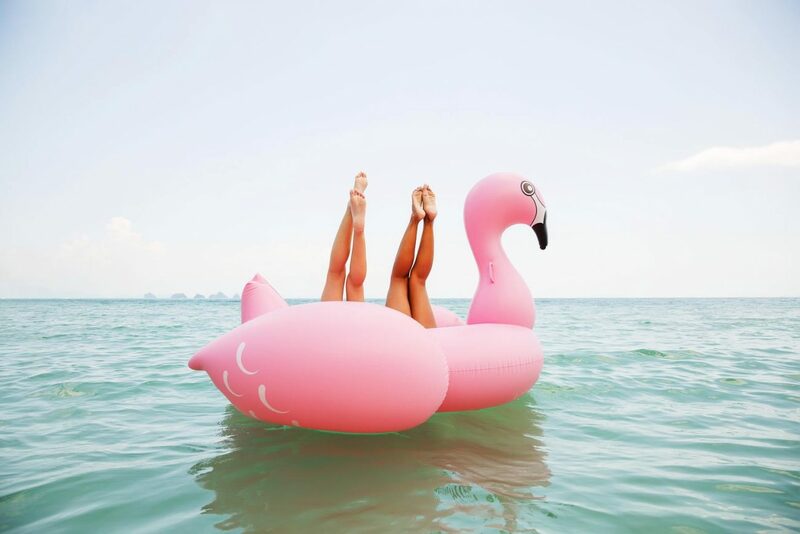 You’ll also like Everything You Need to Know About Le Tote Fashion Rental, Summer Style Guide: 5 Staples for Head to Toe, Simple Ways to Save Money on Your Summer Vacation, Swimsuit Trends That Will Make You Glow, and 5 Truths About the Best Kind of Beauty.